The length of my nails is slowly but surely improving after my hacking them to nubbins at the start of the month. So I decided a rich dark colour would improve how they look. 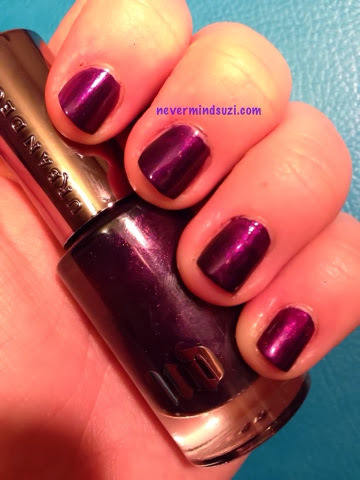 Vice is a jewel purple by Urban Decay. A rich majestic purple which has made even my nubbins look good. When topped with Seche Vite this colour is super glossy and rich. Glam Polish - Fairy Princess Gru! 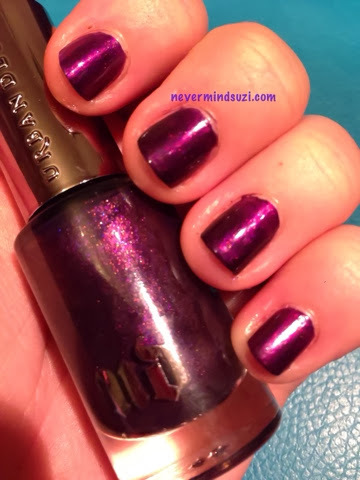 Delush Polish - Sugarplum Surprise! The Crumpet: Multi Blogger Christmas Giveaway!